Joey Logano and Matt Kenseth crinkled all the fenders on the sprint to the finish line off the final corner at Martinsville Speedway. Logano put the bumper to Truex, drove under him and went on to pick up the win as Truex tried to collect his out of control race car. The Logano fans loved it. The Truex fans hated it. But, everybody in that place got their money’s worth. 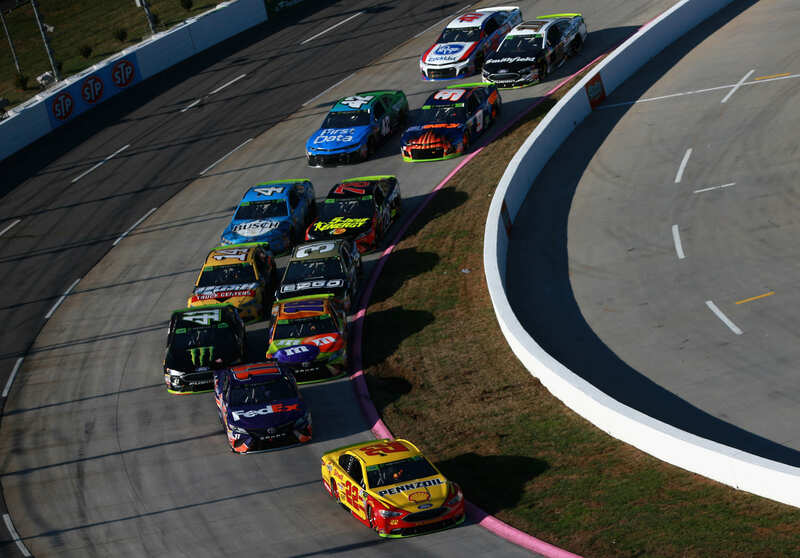 How does NASCAR react to the finish at Martinsville Speedway? “I think our fans saw exactly what NASCAR is about,” NASCAR VP of Officiating and Technical Inspection, Elton Sawyer explained to ‘The Morning Drive’ via SiriusXM NASCAR Radio. Martinsville Speedway is a long race. The 500 lap event tends to have a few long green flag runs during the course of the event. But, more times than not in recent events, the ending is filled with drama. “Overall, great side by side racing. We saw fierce competition. We saw some strategy, long-runs and short-runs,” Sawyer continued. There’s a fine line between exciting racing and going too far. A recent case of stepping over the line happened back in 2015. 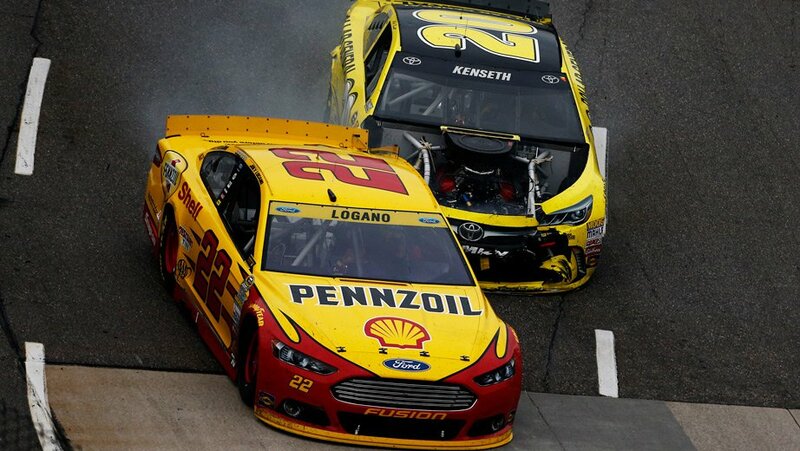 Ironically, Joey Logano put the bumper to Matt Kenseth for the win and a playoff spot at Kansas Speedway. Weeks later, Joey Logano was in the lead at Martinsville Speedway. 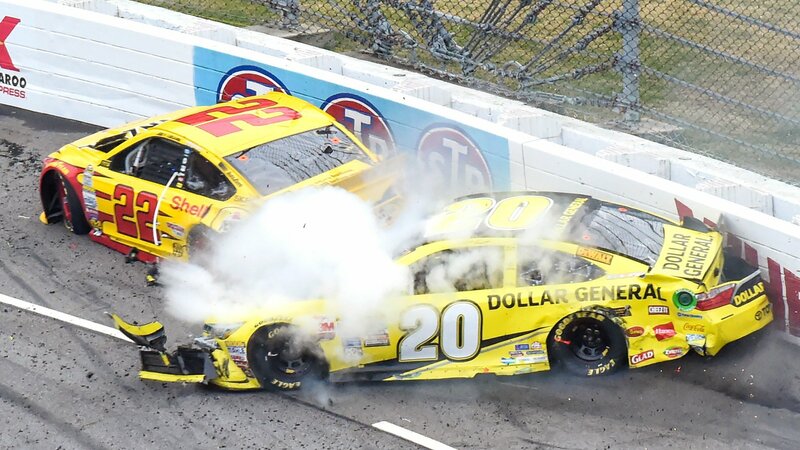 Kenseth was involved in a crash with Logano’s teammate, Brad Keselowski. Kenseth went to the pits to make repairs on his machine. He re-entered the track, multiple laps down. As Logano came around on the outside to lap him, Kenseth turned right and put the leader in the wall. It was payback for the weeks prior at Kansas Speedway. It’s tough for the sanction to make these calls but as the end of the day, rough driving is usually a judgement call. In that situation, NASCAR reacted to that incident sending a clear message of where the line is. Matt Kenseth was suspended by NASCAR following his retaliation at martinsville Speedway. It was ruled a behavioral penalty, in violation of Sections 12.1 and 12.8 in the rule book. Kenseth was suspended for two races and placed on probation for six months. The team appealed the penalty. It was upheld. “Based upon our extensive review, we have concluded that the No. 20 car driver, who is no longer in the Chase, intentionally wrecked the No. 22 car driver, a Chase-eligible competitor who was leading the race at the time,” Steve O’Donnell, the NASCAR executive vice president and chief racing development officer explained back in 2015. “Additionally, we factored aspects of safety into our decision, and also the fact that the new Chase elimination format puts a premium on each and every race. These actions have no place in NASCAR,” O’Donnell concluded in 2015.